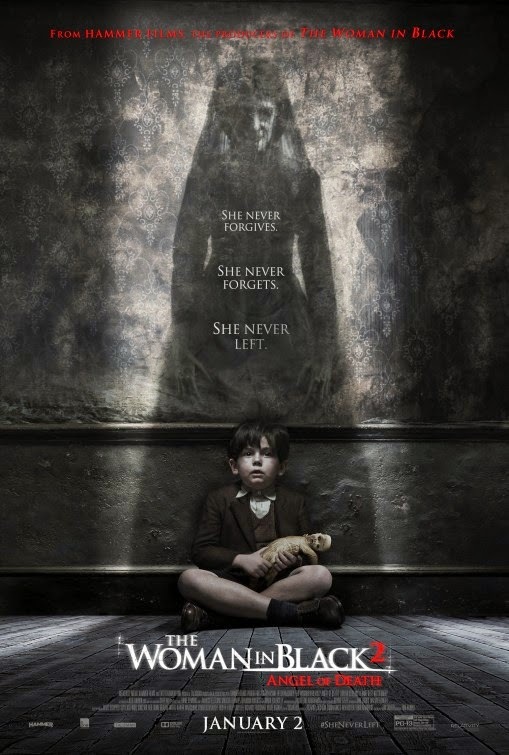 It was nearly three years ago that we were introduced to the Woman in Black, a woman wronged, doomed to haunt the Eel Marsh estate exacting revenge on any who should cross her path. That movie was set at the turn of the twentieth century and centered on an insurance agent played by Daniel Radcliffe (in his first post-Harry Potter role). It was a well executed old school ghost story. Rather atmospheric and certainly effective. Now we are faced with a sequel. Is it a necessary one? Nope, don't think so. Still, here it is despite any real reason for existence. Why was it made? I doubt I will ever really know. 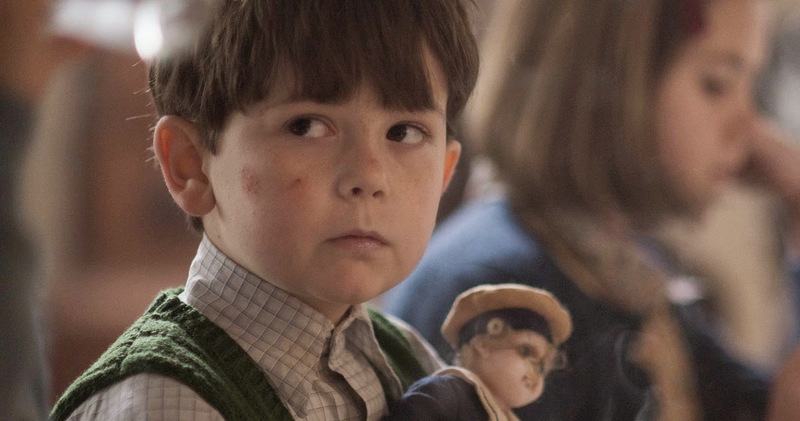 The Woman in Black is not the sort of movie that cried out for a sequel either artistically or financially. So, upon seeing the trailer for it, I had to wonder what they were going to do with the story. I have come to find that it is not really tied to the first film, aside from the location and the ghost, of course. 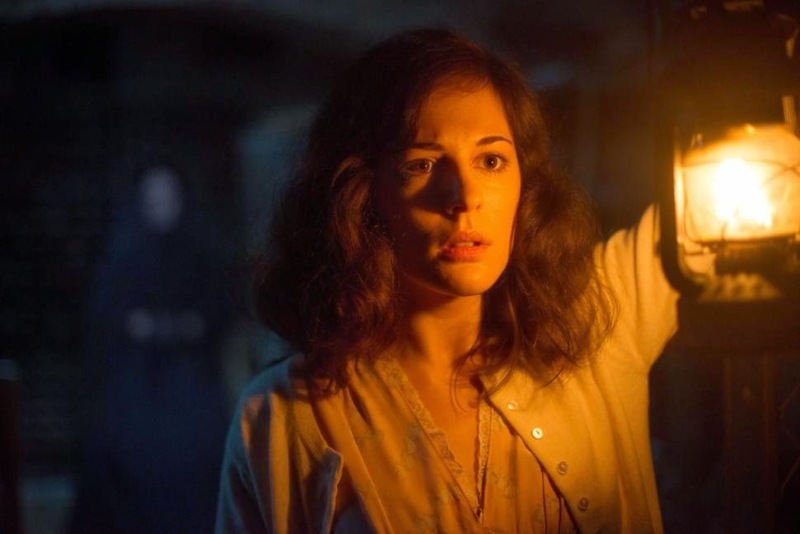 This unexpected sequel bears the title The Woman in Black 2: Angel of Death, which is never really explained, but it does sound snazzy, right? Title as marketing tool, forget about content. Moving on. What this sequel does right is not try to tie in directly with the first movie. It actually seems to go out of its way to not be a direct sequel, it wants to build off the title and not the content. To that end, the tine period jumps ahead some 40 years and puts us inside of WWII. The movie uses the vengeful ghost in union with the anxieties and terror brought on by the bombing of London to create a new story of creepy atmosphere and terror. As the movie begins, London is in the middle of the Blitz. Mrs. Hogg (Helen McCrory) and her young assistant, Eve Parkins (Phoebe Fox) are escorting a group of school children out of the city to the safety of the country side. Where are they going? The long abandoned Eel Marsh estate, of course! It does not take long before Eve begins to see things. It isn't only her, recently orphaned Edward (Oaklee Pendergast), who has not spoken since losing his parents, is slowly being drawn to the dark recesses of the estate. Director Tom Harper and writers Jon Croker and Susan Hill do a nice job of creating a slow burning creepy atmosphere. They make a good choice in not trying to up the ante on the original. Rather than trying to take the original and make it scarier, meaning more jump stingers and the like, they kept the slow burn and added in the war anxieties and personal loss to the mix. It uses their reality and their hidden guilt as the catalyst for the coming scares. For the most part it is an effective blend that keeps the movie working on a personal level. It is a pretty involving film. Sure, it is slow, but it works. I like that it takes things at a slowed down deliberate taste and doesn't go for the ADD crowd. Yes, it has a few stingers, but they are effective, not meant to be a roller coaster ride. No, it isn't perfect. It feels a bit like some details of the haunting are skipped over making it a touch disjointed, but the mood is never ruined. 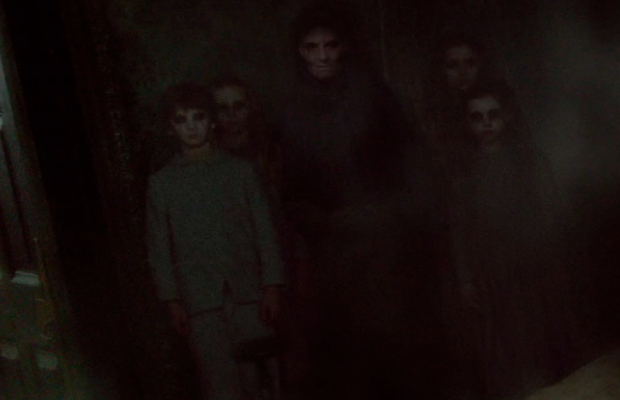 In the end, I have to consider The Woman in Black 2: Angel of Death to be a success. Flawed, but effective. It has some very nice cinematography and the atmosphere never lets up. I am glad to find this a good movie. It is not always a good time of year to have faith in new releases to the theater.